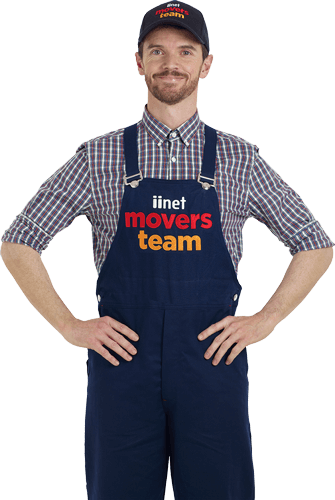 iiNet has a plan for you. * Not available for all carriers. Please call us on 1300 541 714 to lodge a relocation once you know the date(s) you'll be moving out of your current address and into the new one. If you have iiNet ADSL2+ broadband but your Home Phone isn't provided by iiNet, you'll need to confirm that your Home Phone (landline) is active at your new address before we can relocate your ADSL2+ broadband service. With a new 24-month contract at your new address, you'll pay no contract break fees for your existing contract and no activation fees for the service at your new address. You will also get a brand new modem included for your new address! *If you are moving to a newly developed NBN™ estate, NBNCo may charge a New Development fee of $300. More information. Fill in your details and we will contact you within 24 hours. Unfortunately, there was an error in processing your request. Please contact us on 1300 541 714. Protecting the privacy of your personal information is important to us. Check out our privacy statement to learn more about how we collect your information, what we use it for, and who we share it with. * Fields are mandatory.